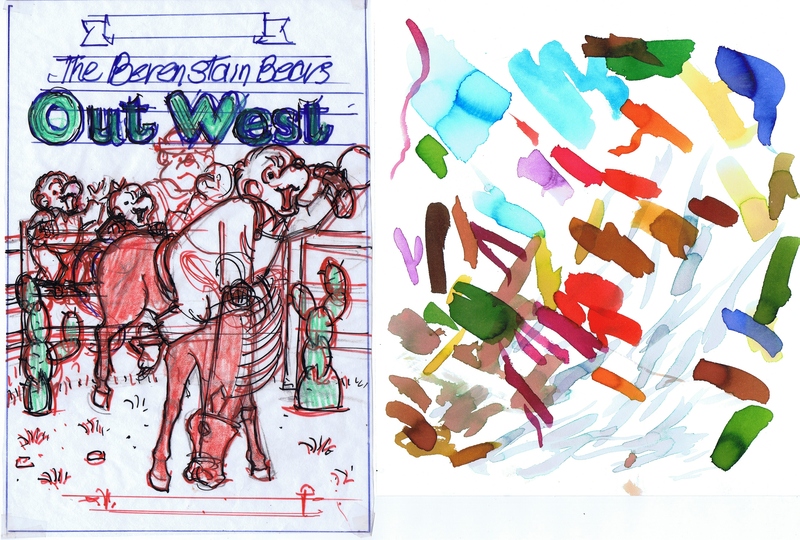 Using The Berenstain Bears Out West as an illustration, this is the process the Berenstains use to create each of their new books. 1 The first step to writing a book is to create the idea for the story. Initially Stan and Jan thought there would be just a few (5 or so) universal family issues to write about. There are now over 350 different titles! 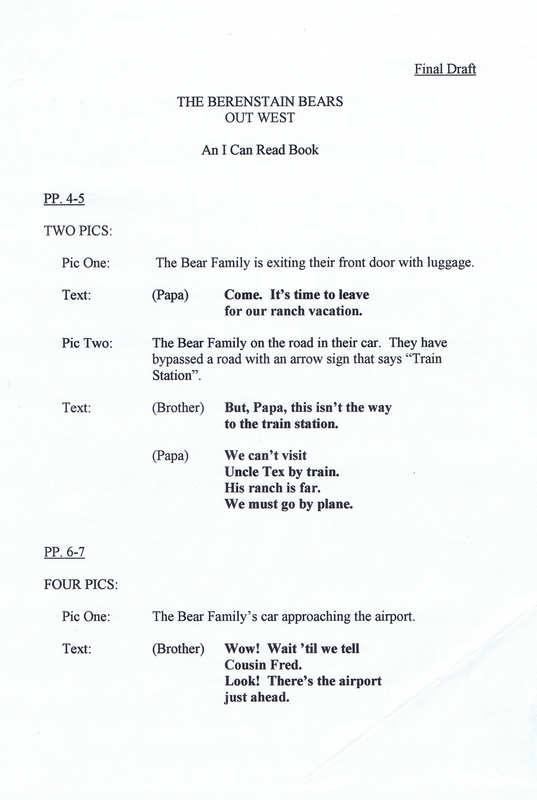 2 An outline or paragraph description of the story is written and sent to the publisher to see if they like the idea. This was taken from a list of ideas sent to Harper Collins. Note the final title of the book changed from the original idea. 3 The manuscript for the story is written and submitted to the publisher for input. 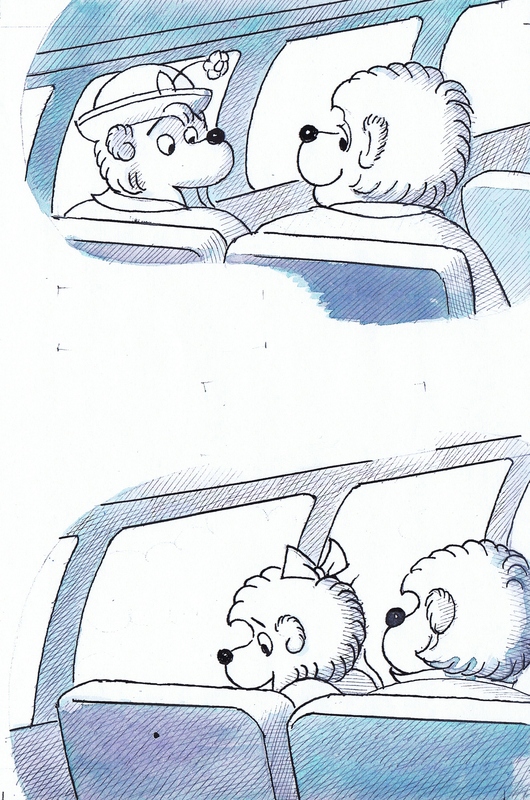 Sometimes this can include ideas for what the pictures will look like at particular spots in the story. The final manuscript as it was sent to the publisher. Note the ideas for pictures which will illustrate the text are included. The final typed draft of the manuscript. Note the ideas for pictures that will accompany the text. 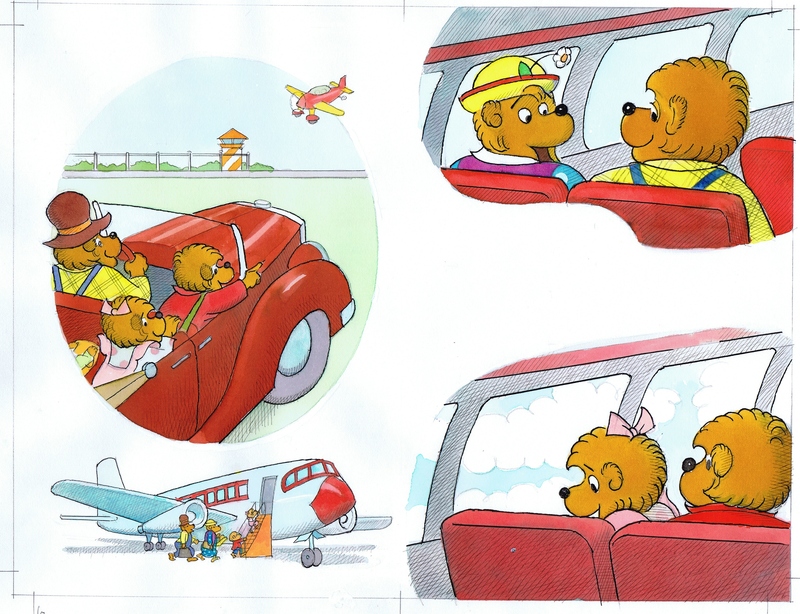 4 The manuscript is sent back and forth between the editors and the Berenstains until everyone agrees on the story. 5 The cover is the first illustration which is drawn for the book. Sometimes this can be as much as a year before the book comes out. The publisher uses this piece of artwork to begin promoting the book. 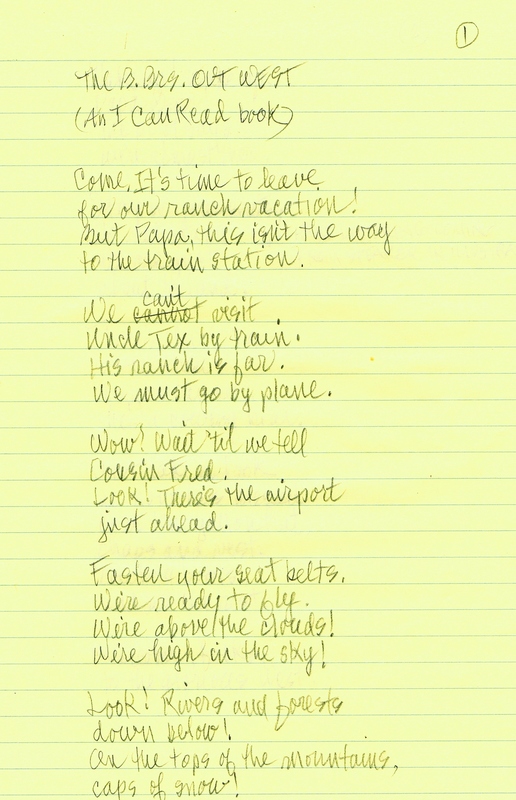 This shows the rough sketch of the cover. On the right is the board Stan used to experiment with colors which would be used. 6 A sketch layout of the book is made on tissue paper and the words of the story are cut and pasted in. This is sent to the publisher for input and editing. 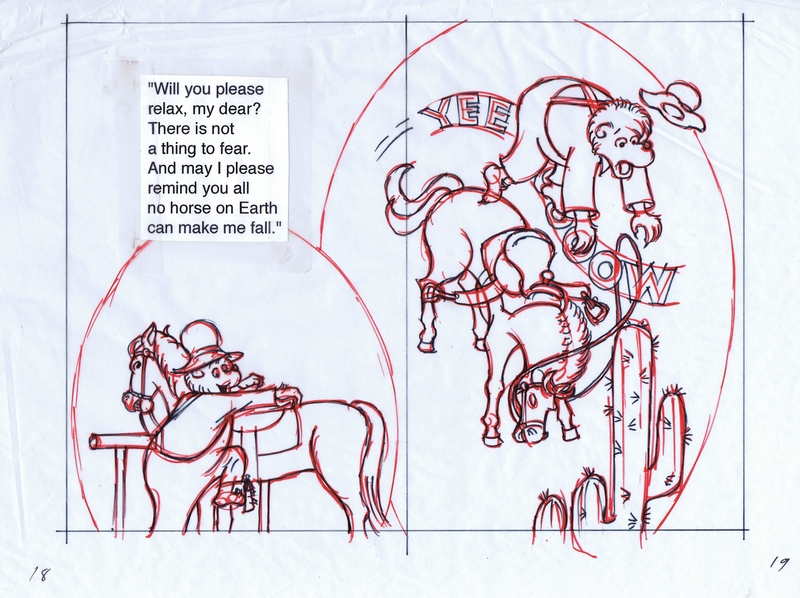 Originally Stan and Jan began their layouts with storyboards, as influenced by Theodor Seuss Geisel (Dr. Seuss), but eventually they just skipped ahead to doing rough sketches. 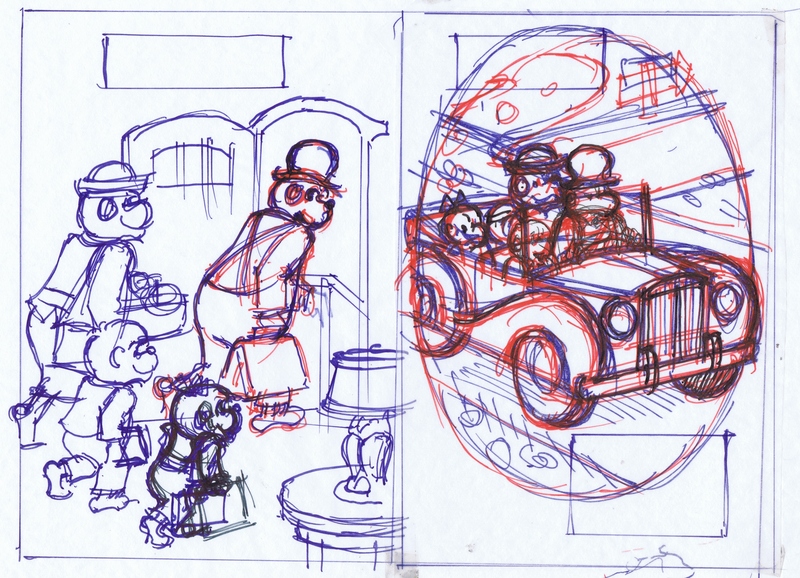 A beginning very rough sketch of pages 2 and 3. A refined rough sketch with the text pasted in. 7 The rough drawings are transferred with pencil to illustration board. A light box or table is used to trace the images from the rough drawings. These drawings are refined as they are transferred. The image as it was traced and refined from the rough sketch. 8 The traced images are then inked in with India ink and old-fashioned pens, which give the Berenstains better control than using paintbrushes. 9 The color is added to the images. First the shadows are painted with gray washes (blue or violet tones). The full color is then added over the top. 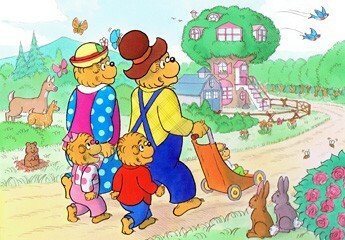 The Berenstains use Dr. Martin’s liquid watercolors. This shows the shadows which have been painted in. This shows the same picture after all the color has been painted. 10 The finished artwork is sent to the publisher. 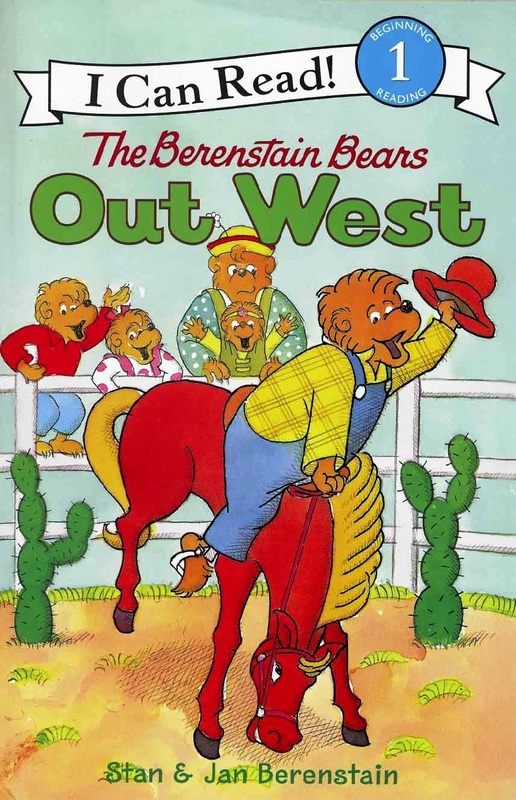 The Berenstain Bears Out West, an I Can Read book, was published by Harper Collins in 2006. 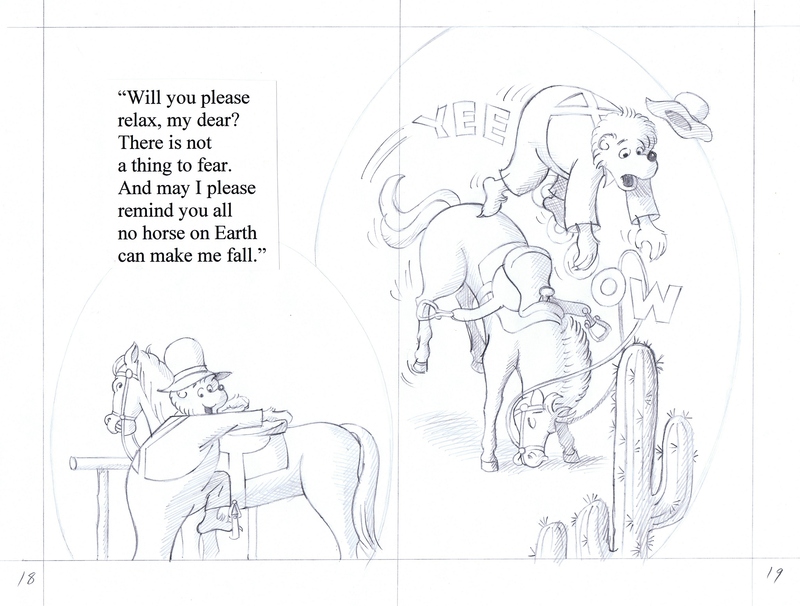 The final artwork as it appeared in the published book. 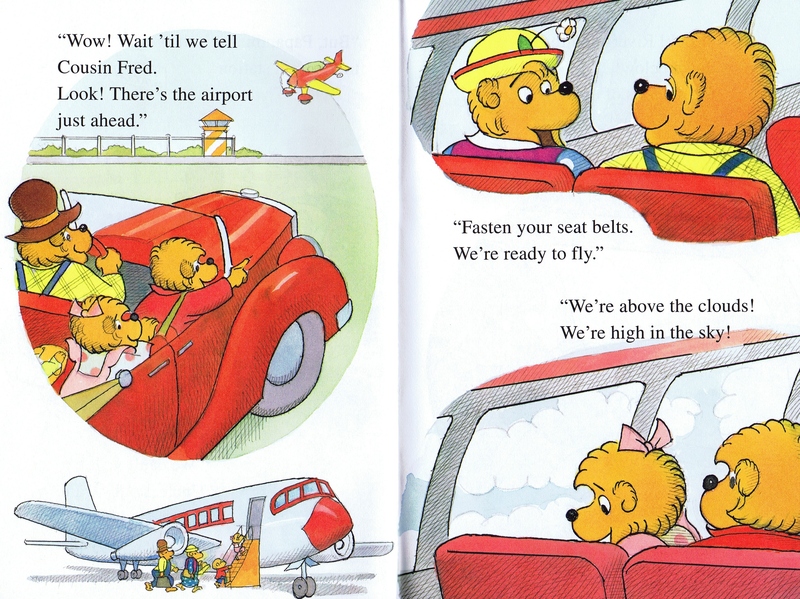 ← The Berenstains’ A Book – Amazing! As a writer, this story was so very helpful!! Thank you so much, Denise. We are so pleased you found it helpful.